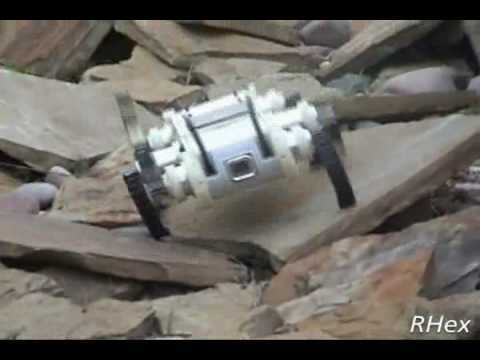 RHex is a bio-inspired, hexapedal robot designed for locomotion in rough terrain. 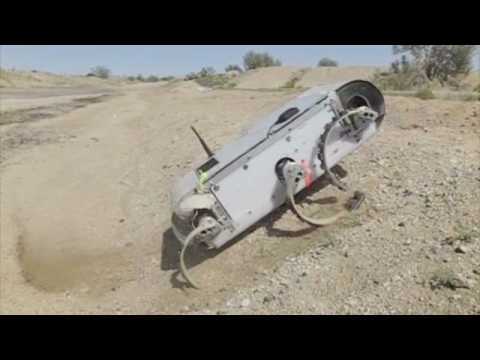 It can drive over rocks, mud, sand, snow, and railroad tracks. You can throw any obstacle in front of it: RHex doesn't care. X-RHex is the new RHex. 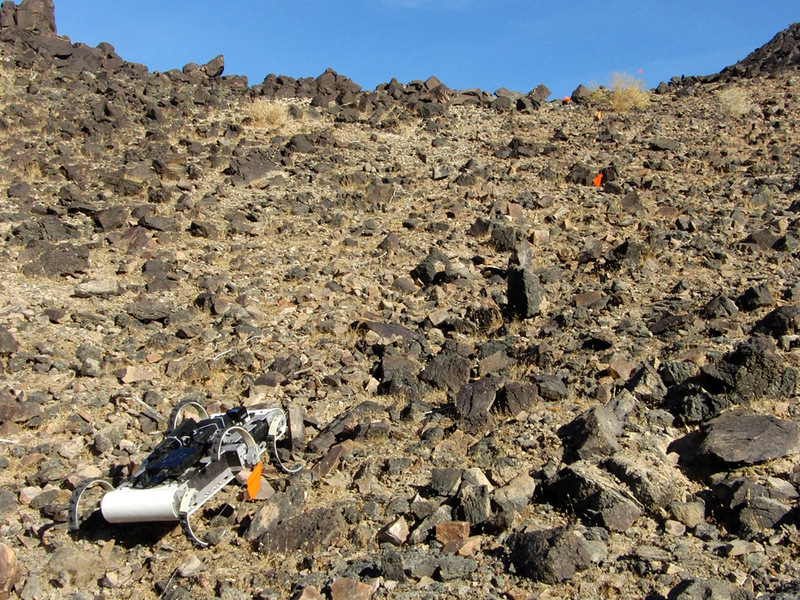 Steep rocky hill in the middle of the desert? No problem. RHex hiking in the woods. 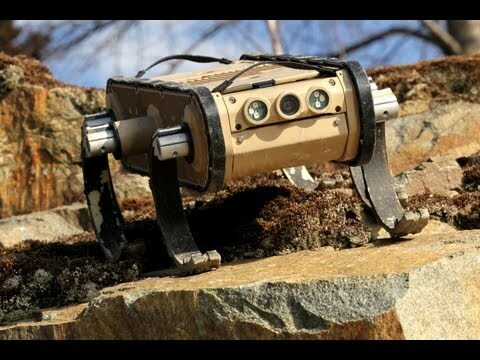 RHex, the honey badger of robots. X-RHex, the newest member of the RHex family. 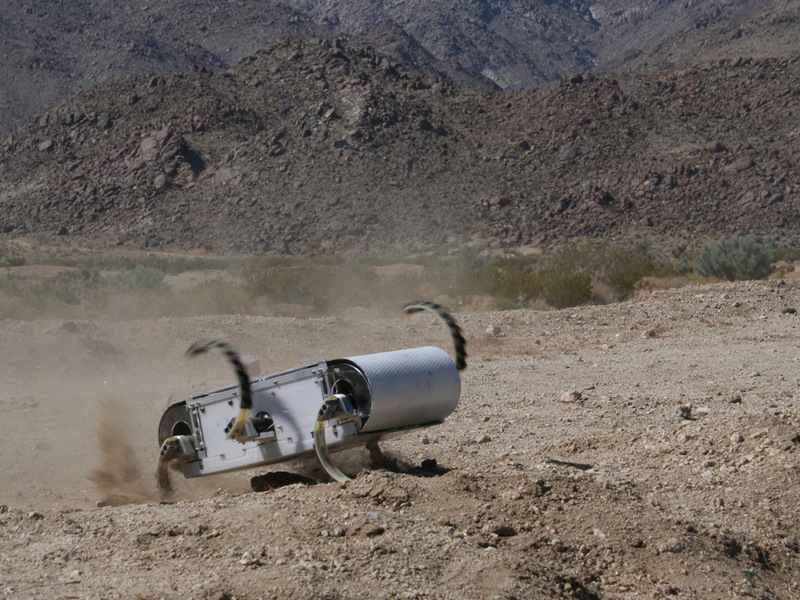 Roboticist Martin Buehler got the inspiration for RHex's design when he saw a cockroach racing over a rough surface. 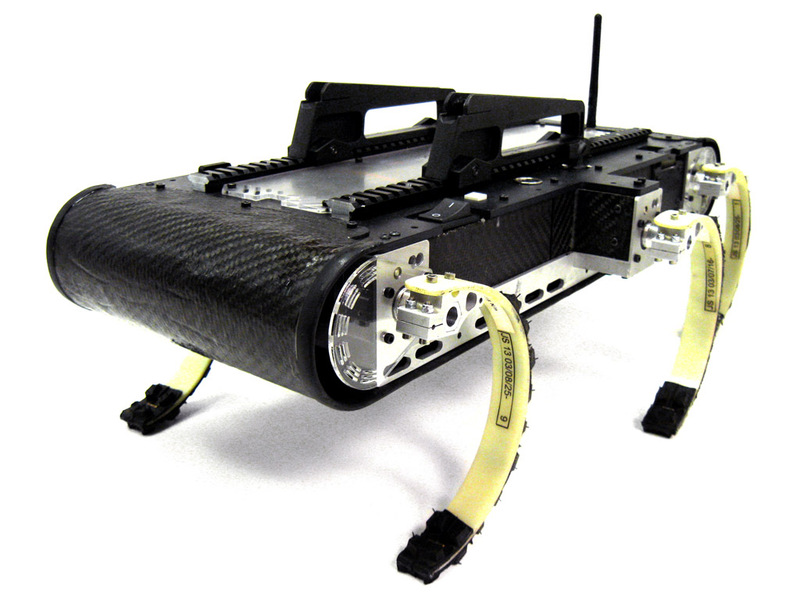 The name RHex means "robotic hexapod." 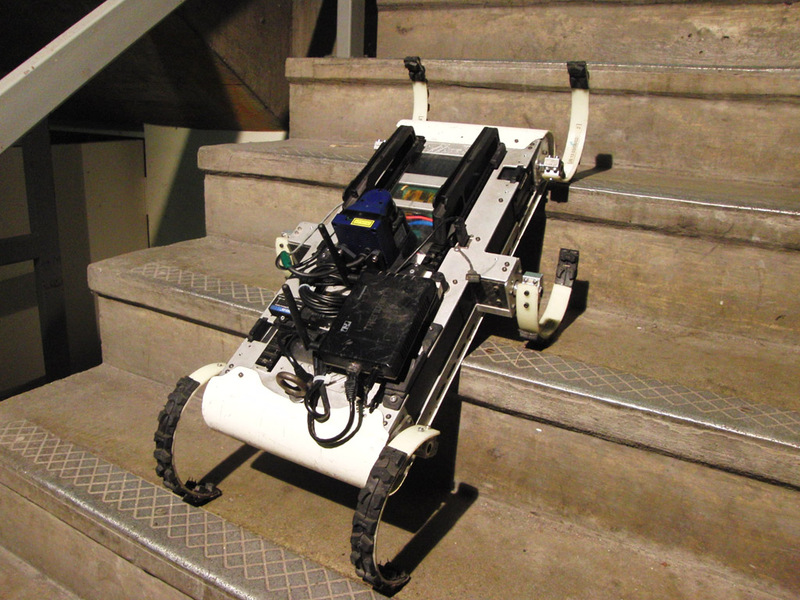 The latest version, X-RHex, has an actuated tail for improved mobility. Rugged, modular design. Dust- and waterproof. 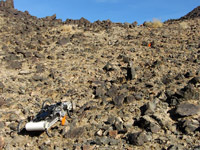 Equipped with modular payload bay for mission-specific packages. Cameras, gyroscope, accelerometer, and other optional sensors. Position, current, and temperature sensors in the motors. 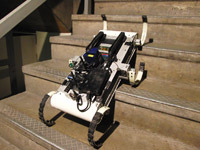 Intel-based main computer; payload computer (optional). Linux OS. 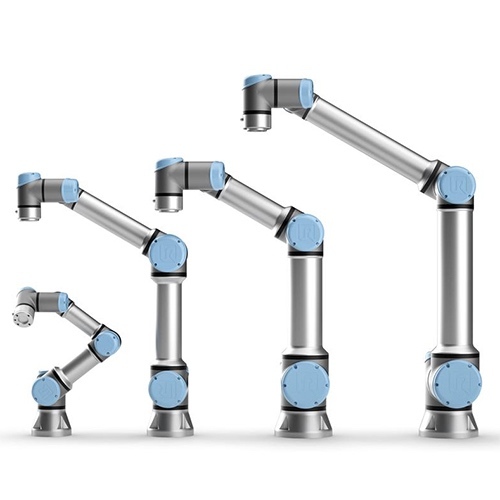 Control software can be programmed in C, Python, or Matlab. 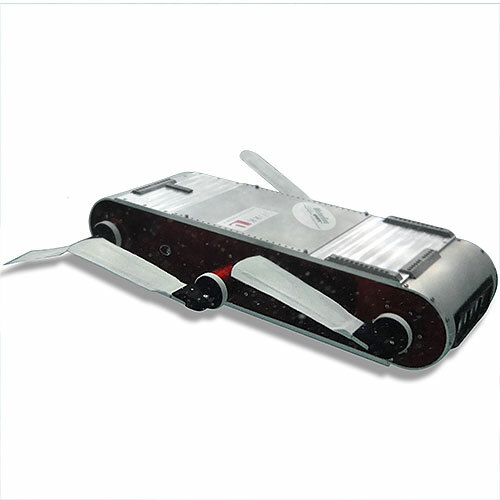 Aluminum and carbon fiber body. 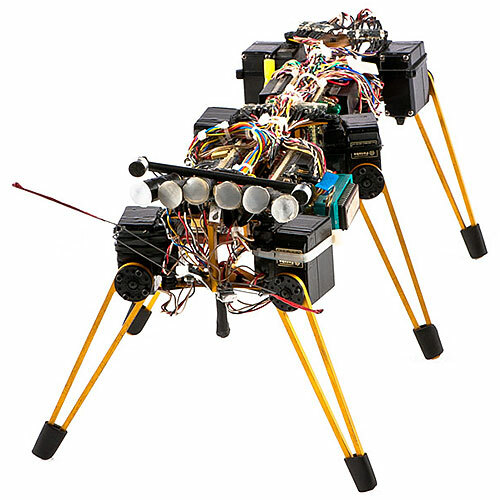 The original RHex hexapod was built between 1999 and 2001 by a DARPA-funded consortium that included McGill University and the University of Michigan. 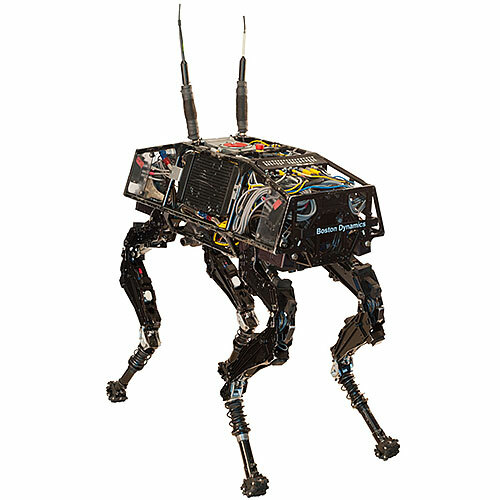 Later versions include Rugged RHex, Aqua, EduBot, and Desert RHex, among others, and a commercial version is available from Boston Dynamics. 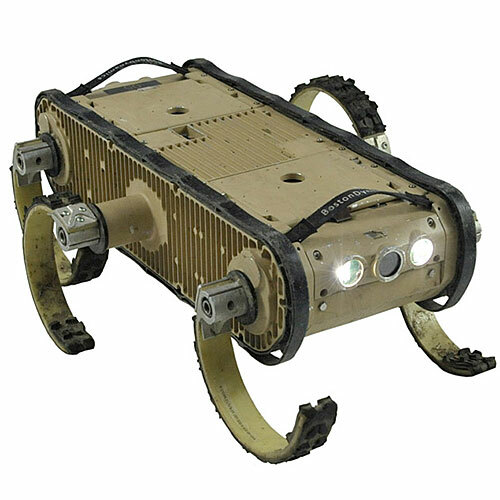 The latest version, developed at the University of Pennsylvania, is X-RHex, which features improved hardware and a modular payload system that makes it a "laboratory on legs." 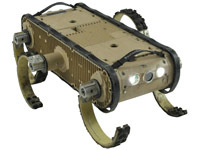 X-RHex supports a variety of sensor suites on a small, mobile robotic platform intended for broad, general use in research, defense, and search-and-rescue applications.